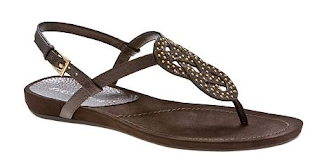 My friend Leslie has asked me to try and help her find a pair of cute sandals to last her through the rest of the summer, but they need to be comfortable enough or all-day wear and around the $40 mark. 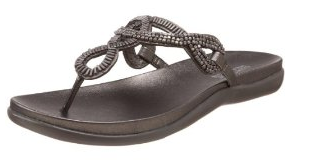 The comfort stipulation rules out the flat, 1/4 inch hard soled sandals that are all over Target this summer and makes this challenge pretty difficult. However, since I can't stand to wear poorly made shoes either, I can't blame her! 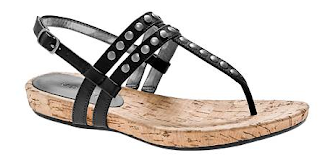 The cork sole on this sandal should make it more comfortable than most, and I like the silver studs as well. 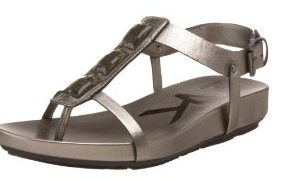 Hopefully one of these options will work for Leslie, or anyone else looking for comfortable shoes at a low price point. Happy shopping!